Brewer’s notes: The first release in our new Calambic Series, “California Lambic”, beers inspired by and paying homage to the masterful artisans of the Lambic region of Belgium and their unique spontaneously fermented beers. 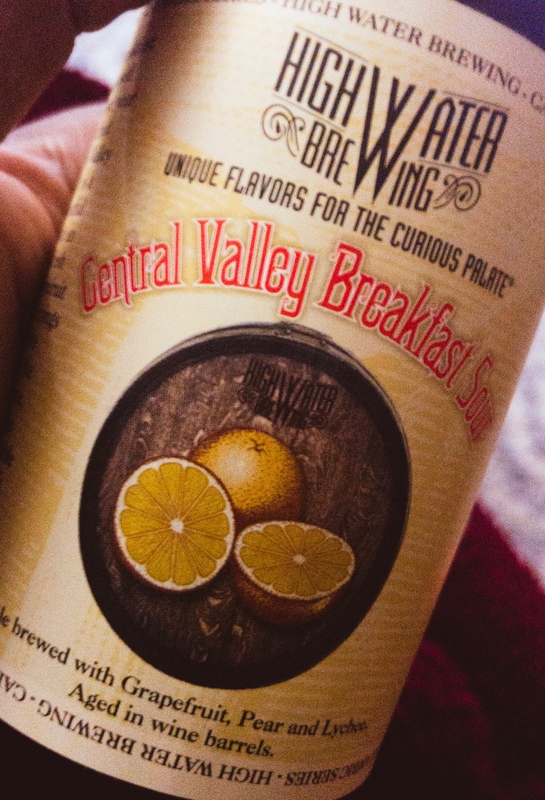 Our Central Valley Breakfast Sour is a beer adventurer’s dream come true. Aged in used wine barrels for one year with the finest fruit added from our very own San Joaquin Valley. I am drinking a Central Valley Breakfast Sour by High Water Brewing in Montgomery Township, NJ.